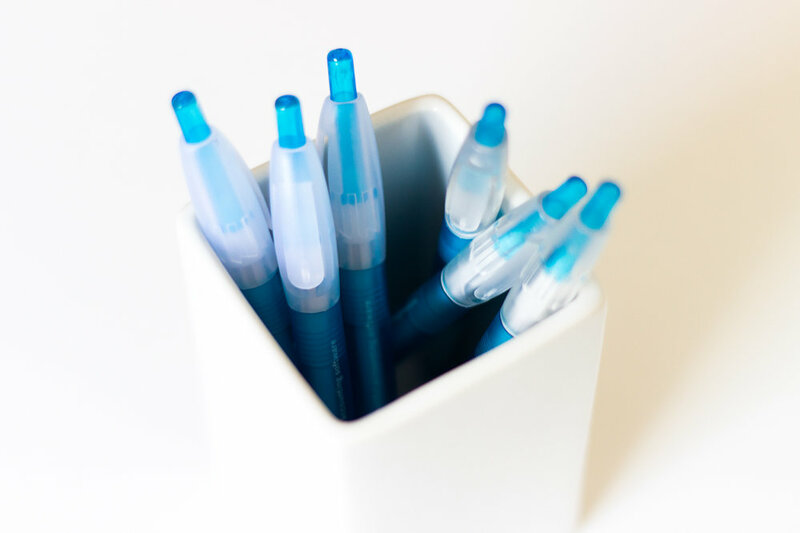 Xero is a worldwide leader in online accounting software with offices all over the world. The Xero Graduate Programme employs recent graduates in various roles across the business, providing specific, tailored training and mentoring. 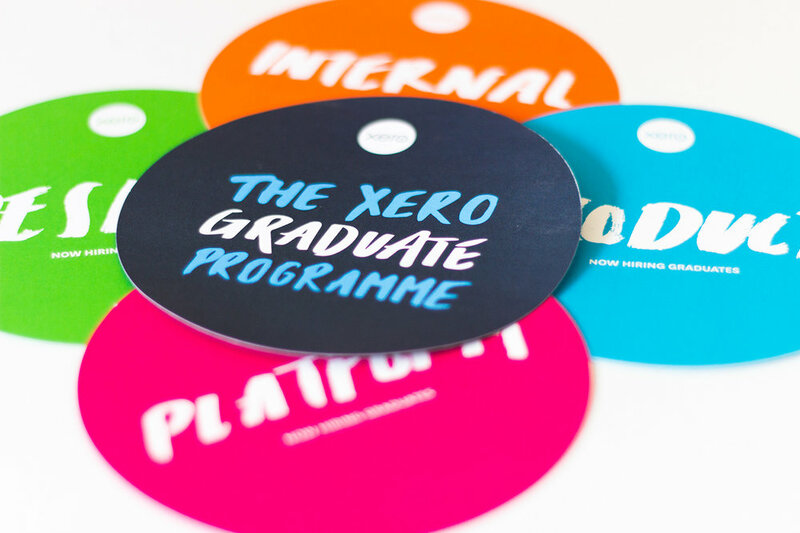 xero.com/graduate is an award-winning, interactive website which provides potential graduate employees with helpful, team-specific information to encourage their application for a graduate role at Xero. 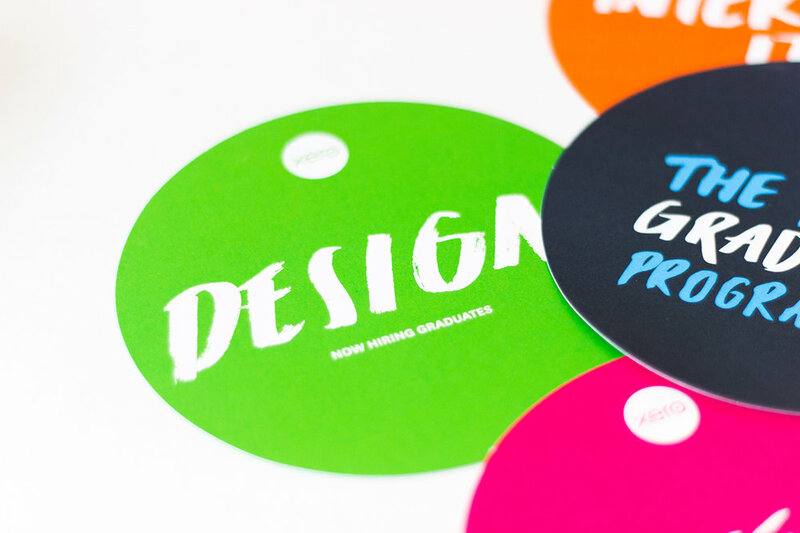 The print collateral created for the Xero Graduate Programme carries on the fun and energetic branding, while conveying vital information to the user. 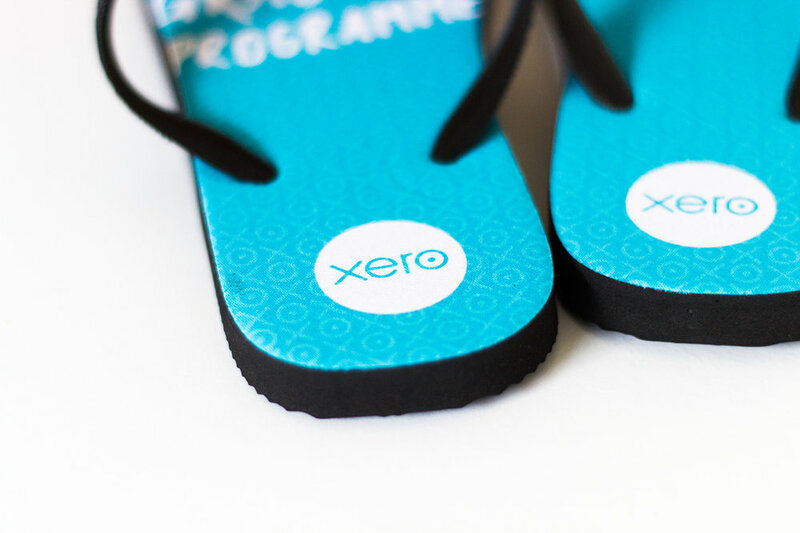 The information dots, jandals, tattoos and pens are all intended to be given away at graduate events such as career fairs to inform students of the available roles and to gain traction around the Xero brand.